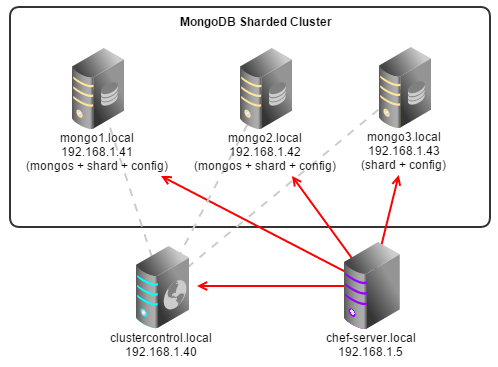 ClusterControl node must run on 64-bit Linux platform, on the same OS distribution as the monitored DB nodes. Mixing Debian with Ubuntu or CentOS with Red Hat is acceptable. ClusterControl node must have an internet connection during the initial deployment. After the deployment, ClusterControl does not need internet access. ** Please review the official cookbook page for more details. This section requires you to use knife. Please ensure it has been configured correctly and is able to communicate with the Chef Server before you proceed with the following steps. 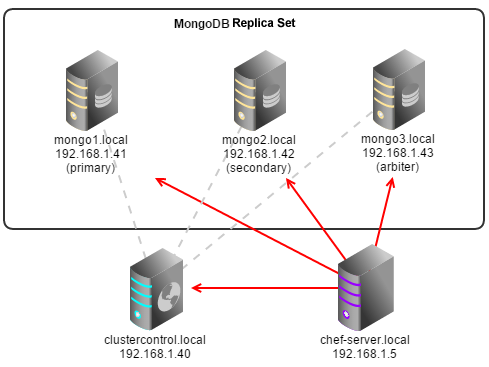 The steps in this section should be performed on the Chef Workstation node. ClusterControl will create a MySQL user called 'cmon' for automation tasks. What is your database cluster type? What is your Galera provider? ClusterControl requires an OS user for passwordless SSH. If user is not root, the user must be in sudoer list. ClusterControl needs to have your database nodes' MySQL root password to perform installation and grant privileges. We presume all database nodes are using the same MySQL root password. description "Database hosts monitored by ClusterControl"
** In above example, we set an override attribute because the MySQL server is installed under /usr/local/mysql. For more details on attributes, please refer to attributes/default.rb in the cookbook. 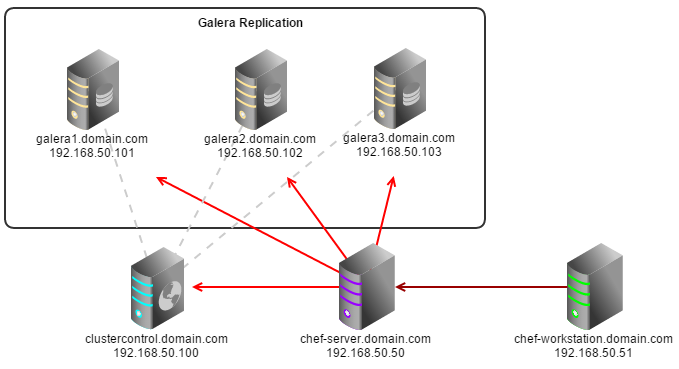 $ knife node run_list add clustercontrol.domain.com "role[cc_controller]"
$ knife node run_list add galera1.domain.com "role[cc_db_hosts]"
$ knife node run_list add galera2.domain.com "role[cc_db_hosts]"
$ knife node run_list add galera3.domain.com "role[cc_db_hosts]"
Once completed, open the ClusterControl UI page at http://[ClusterControl IP address]/clustercontrol and login using the specified email address with default password ‘admin’. Take note that the recipe will install the RSA key at $HOME/.ssh/id_rsa. 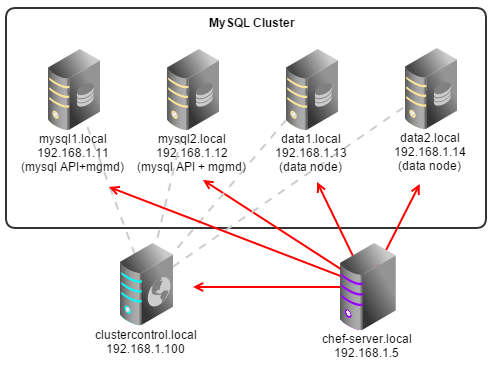 For MySQL Cluster, extra options are needed to allow ClusterControl to manage your MGM and Data nodes. You may also need to add NDB data directory (e.g /mysql/data) into the datadir list so ClusterControl knows which partition is to be monitored. In the following example, /var/lib/mysql is mysql API datadir and /mysql/data is NDB datadir.